SHEFFIELD United came from behind to win 2-1 at Loftus Road as Steve McClaren’s QPR side suffered their second defeat of the season. A controversial penalty from David McGoldrick and a Billy Sharp strike handed the Blades victory. 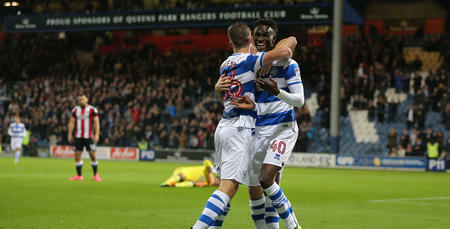 Eberechi Eze had earlier given QPR the lead in what was an entertaining match in W12. The R’s made two changes from last week’s defeat to Preston North End with Idrissa Sylla and Paul Smyth coming in for Matt Smith and Bright Osayi-Samuel. Having been beaten 3-0 by Middlesbrough during the week it was no surprise to see Chris Wilder make four changes to his side. After a fairly quiet opening 10 minutes, the first opportunity fell to the way of QPR. Idrissa Sylla cleverly flicked the ball into the path of Eze who found Luke Freeman with a reverse pass that was deflected wide for a corner. In the 19th minute, Sheffield United responded with an effort of their own. Midfielder John Fleck found some space on the edge of the box and hit a decent dipping shot from 25-yards but it was comfortably saved by Ingram. Five minutes later QPR almost went ahead. Kakay got down the right-hand-side and put a great cross into Sylla. The Guinean forward’s hold up play was exceptional and he laid the ball to Eze who’s powerfully hit shot was well saved by Manchester United loanee Dean Henderson. However, the move wasn’t over, as Bidwell kept the ball alive down the left-hand side and put a cross in for the onrushing Luongo to head just over. The impressive Luke Freeman then beat three men in the middle of the park and fed Eze who cleverly worked the ball onto his left foot but was once again denied by the Blades number one. But two minutes later Henderson was beaten and QPR had their first goal of the season. 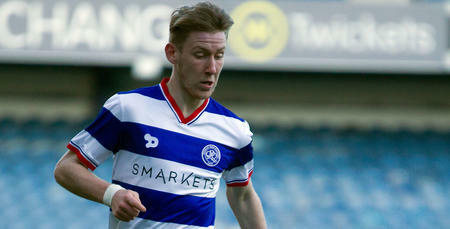 A sweeping moved which involved most of the R’s attack saw the ball moved out to Bidwell. 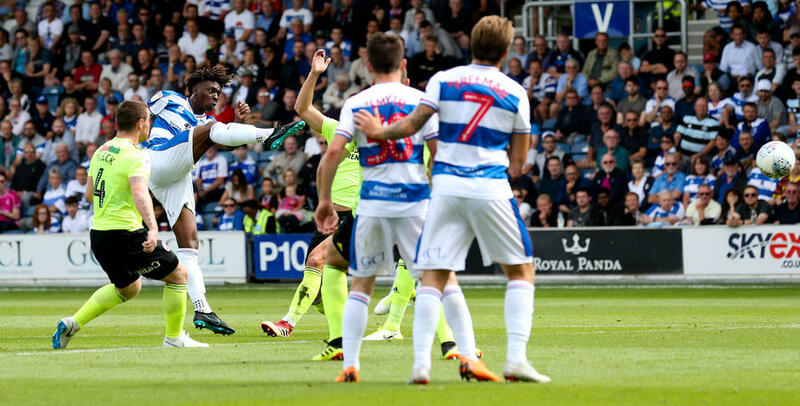 His cross was deflected into the path of Eze who’s sweetly struck volley gave Henderson no chance and Loftus Road erupted. In the 38th minute, Eze nearly doubled the lead. Kakay again got forward well and passed to Freeman who quickly played it to Eze. Despite being doubled up the 20-year-old managed to get his shot away and it went just wide of the far post. Rangers were now clearly on top and continued to push forward. A lovely switch of play by Freeman found Bidwell who combined well with Eze. The ball found its way to Luongo in the box and the Australian had another effort, although this one went wide. Rangers looked to be going into half-time with the lead but were punished for switching off defensively. Kieron Freeman got down the right and accurately crossed for Billy Sharp to tap in from five yards out. Steve McClaren made a change at half-time bringing on Bright Osayi-Samuel for Paul Smyth. It was the Blades who should have taken the lead just after the break. Former Rangers front-man Leon Clarke produced a clever touch and turn and looked to have put the ball into the bottom corner but Matt Ingram denied him with an excellent low save. Sheffield United were beginning to play with confidence and moving the ball nicely. Sharp was caught offside on a couple occasions as the Blades looked to take advantage of their bright start to the half. In the 63rd minute, Chris Wilder replaced Sharp with David McGoldrick and he was involved straight away, winning a controversial penalty. The ball was crossed from the left-hand side and the referee decided that he was unfairly brought down by Joel Lynch. The former Ipswich man dusted himself down and dispatched the penalty. McClaren responded with a change of his own, bringing on last year’s top goalscorer Matt Smith for Sylla. The R’s needed to find a way to get more of the ball with United now enjoying the better possession. In the 77th minute, Eze found Luongo with a smart pass but he mistimed his header and it went wide of the far post. A couple minutes later Rangers almost found the equaliser. Eze created space for himself on the edge of the box before unleashing a curling effort that Henderson just about managed to push away. Two minutes from time Scowen was the latest to test Henderson. The ball was worked wide to him and he shot from a tight angle which forced the Blades keeper into another smart save. 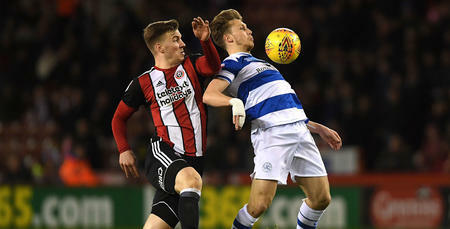 There was five minutes of added time but Sheffield United ran down the clock and the only chance came their way with Leonard forcing Ingram into a good save as the R’s left Loftus Road empty-handed. 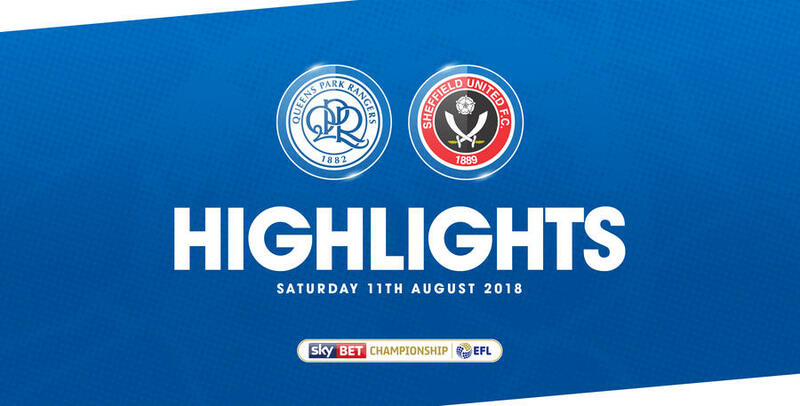 HIGHLIGHTS from QPR's 2-1 defeat against Sheffield United at Loftus Road.